Experience a sense of completeness with healing, meditation and rejuvenation through Healing Waters Sanctuary. The healing process of Maui healing practitioner Andy Marcus, allows you to dive into a unique approach to healing for body, mind and spirit. Combine Biodynamic Craniosacral work with Aquatic Therapies to help in reaching relaxation, release of trauma, developing a deep sense of peace and a new sense of well - being. Healing is a continuous process when working with a Maui healing practitioner. We are healing when in peace, love, acceptance, becoming neutral to viscitudes of life and learning to not gauge the truth of love and stillness by how you feel. Healing is about finding peace, openness, love and how this holds at all times, even though we transition. Biodynamic Craniosacral Aquatica uses perceptual skills to help support the body, mind and spirit while allowing the forces of health to penetrate us more deeply and fully. It’s your time to heal from past traumas, release stress or to embrace and explore new approach to meditation. 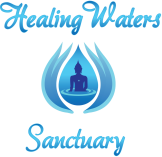 Healing Waters Sanctuary and Maui healing practitioner offers unique and effective methods that allow you to discover a gentle and calming way of assisting you with any healing need. Andy Marcus, Maui healing practitioner has developed a unique approach that combines Biodynamic Craniosacral Therapy with Aquatic Therapies and breath work to help in a faster and more complete approach to health and well - being. With this process you will experience natural rejuvenation and transformation. During your first healing session at Healing Waters Sanctuary and with Maui healing practitioner, you will explore the stillness and movement that restores your natural state of health. The healing modalities used depend on the unique needs of your body. Movements can range from slow womblike motions that have a sense of suspended animation, to open expansive, playful ones that can feel like you are flying through space in an expanded mode. You may also experience the sense of being a dolphin, turtle or fish while moving above and below the water. The use of water, breath and Craniosacral Aquatic Therapy stimulates the process of healing while creating a platform that assists in the development and enhancement of health and well-being. Sessions with Maui healing practitioner, Andy Marcus, usually last between 1.5 - 2 hours, depending on the time needed for the process of healing to unfold. This varies according to each individual's needs and the deeper experience that is created. You can expect to be both above and under water. If this is problematic, then please specify before your session and the session will be altered to meet your needs. "The river that flows in you also flows in me." Call Andy Marcus at 808-280-0956 to schedule your appointment today!